IN A COZY SPACE, SEEMINGLY TUCKED AWAY IN THE UPSTAIRS ABOVE OUR PIZZA RESTAURANT YOU WILL FIND WATSON & THE SHARK. in our WEEKEND, LATE-NIGHT, COCKTAIL LOUNGE OUR TIKI GURUS CRAFT INSPIRED CLASSICS AND FRESH ITERATIONS OF THE TRADER VIC AND BEACHCOMBER VARIETY. WE LIKE TO THINK OF IT AS SPIRITUAL NEW ENGLAND TIKI, EMBLEMIZED BY THE JOHN SINGLETON COPLEY PAINTING BY THE SAME NAME. 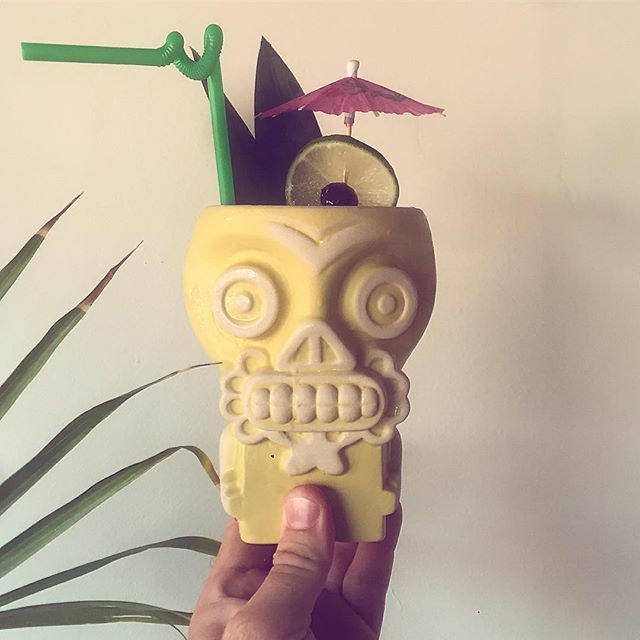 SO WHETHER WE’RE GIVING A LESSON IN ART HISTORY AND THE LIFE OF BROOKE WATSON, OR LIGHTING SOME ELABORATELY GARNISHED RUM COCKTAIL ON FIRE, WE’RE HAVING FUN, KEEPING IT RELAXED, AND ABOVE ALL TIKI.